Free Shipping* on all U.S. merchandise orders over $25. Discount is applied automatically in cart when the $25 threshold is reached. The free shipping discount applies to Standard shipping. For Canadian orders, the free shipping discount on orders over $25 is applied as a $5 credit toward the Canadian shipping fee of $8.95. We ship to all 50 states, U.S. P.O. Boxes, U.S. territories and APO/FPO addresses. Delivery times are estimated in business days and vary based on your shipping address or holidays. We offer free standard shippingǂ on orders. To get your package earlier, you can elect to upgrade to Express, 2-Day or Next Day at an additional cost. Our packages will be shipped via USPS or FEDEX for expedited delivery. Orders outside the Continental US such as Hawaii, Alaska, Territories, APO/FPO may take longer based on address; same charges apply. 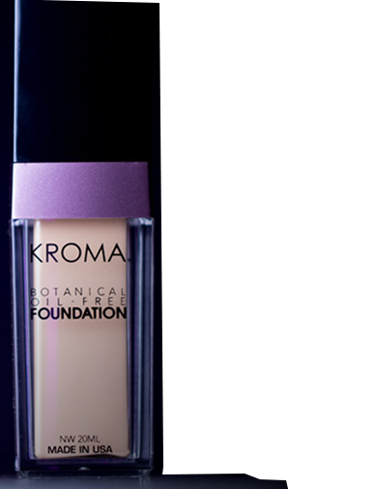 * Free shipping valid on purchases made at kromamakeup.com only. Offer cannot be applied to previous purchases or the purchase of gift cards and cannot be redeemed for cash. See above for shipping details. Free shipping will be automatically applied to qualifying orders at checkout. Valid on shipments to the U.S. Territories, P.O. Boxes and APO/FPO only. Terms of offer are subject to change. ǂ Business Days; Order must be placed by 6pm EST, Monday-Saturday to be processed day of purchase. Canadian orders over $25 will receive the free shipping discount applied as a $5 credit toward the Canadian shipping fee of $8.95. The discount is applied automatically in cart when the $25 threshold is reached. Payment of duties and taxes is the responsibility of the recipient, and these fees may be collected at the time of delivery. Packages will be shipped via USPS Priority Mail International, Priority Mail Express, or FEDEX.